The Kristaps Porzingis trade to the Dallas Mavericks feels like it was so long ago tonight and that’s got nothing to do with the half bottle of red, the two beers, and the glass of Muscadet I had with dinner. Related, Bologna is a great city for dining. The trade was, of course, a mere week ago but so much has happened to some of the biggest and best loved Euros in the NBA in the final week of trade season. We’ve got to start with the GOAT. Boban Marjanovic is a beloved cult figure and has done himself exactly zero harm with the media over here and, to my understanding, Stateside during his career. He is a big mound of love who happens to be a great offensive weapon, albeit best used in limited minutes. He was the lesser piece in the move that saw Tobias Harris join the Philadelphia 76ers but there’s a lot to like with this switch. Naturally, the bromance between Bobi and Tobi continues but also look at his spot. He’s behind Joel Embiid, who is the natural heavy minutes 5 for Philly and a legit star. Having Boban spell for him in pieces is going to be a heap of fun no matter who he is on the floor with. The big Euro for Euro move saw Marc Gasol go to Toronto while Jonas Valanciunas heads to Memphis. It’s hard not to feel for the big Lithuanian in this case. He’s become a reliable part of the furniture with the Raptors and was there for the start of their journey back to relevance. He’s been through all the pain and the We the North movement. While not panning out as a top 5 big in the NBA that this site expected, he’s still becoming a reliable starting centre in the NBA. With Memphis, it’s going to be tough for him although at least until the summer he’s got Mike Conley feeding him. For Gasol, it’s a new lease of life and one both he and the Grizzlies needed. It’s been 6 years since he won DPOY but he’s still a top tier 5 and one who will be very useful to Toronto through the end of his contract should he see out the duration. This is easily the best shot he’s had at making a Finals and the one question is how the Raptors will use him with Serge Ibaka. Valanciunas and Ibaka essentially went as a tandem in Toronto and that’s the only logical pairing here. All the way back in 2014, when Gasol was at his peak, he and Ibaka simply weren’t an effective pairing as a 4-5 combo for the Spanish national team with the set-up essentially limiting Ibaka’s effectiveness on offence. Giannis got some big help from the man who took Ibaka’s spot in the Spanish* national team. Nikola Mirotić, who is Montenegrin by birth but a naturalised Spaniard (in international play you can only use one naturalised player) was the only one of the big three in New Orleans to move at the deadline. Granted, there was never any talk of Jrue Holiday going now nor were the Anthony Davis talks likely to get relevant before 1 July, but the move ended up having more win now connotations than might have been expected. Mirotic gives some serious outside support to in Milwaukee. Between the Bucks, Raps, and Sixers, the top of the East got a lot better with Euros being either the big parts or relevant pieces in the moves. The losers here are Boston, the Celtics were never likely to do much nearing the deadline but yikes. *For those wondering. Ibaka won Eurobasket in 2011 and took Olympic silver with Spain in 2012. He didn’t play in their bronze medal campaign in Eurobasket 2013 and bowed out with them in an awful 2014 World Cup quarter final. Mirotic won Eurobasket gold with Spain in 2015 (which included the most amazing Pau Gasol game ever) and bronze at the 2016 Olympics. The move involving a Euro that didn’t seem likely but looks easily the most bizarre is Ivica Zubac joining the Clippers. He’s going to have a new training facility but will stay in the same home arena. His move, alongside Michael Beasley, is essentially freeing up space for LeBron to get Carmelo Anthony. In a dream scenario, Melo would jack it in with the NBA and finish out his career in Philippines and that’s not even a slight on him. His game in the PBA, ignoring how much better he is than the talent there, would be amazing and the fans would adore him. 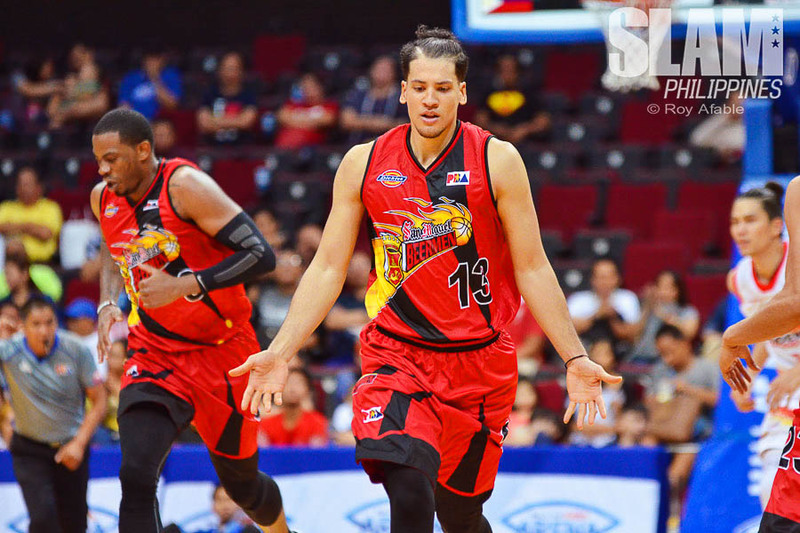 Plus, sticking a dude with a Hall of Fame resume in a San Miguel Beermen jersey would be incredible. That’s beyond wishful thinking but it’s a more logical fit than a relevant NBA side right now. Two Euros got waived by the Clippers. Marcin Gortat was the first to go and he’s already looking at a ring chase with the Warriors at the time of writing. The one that is of far more interest to scribes over here is Milos Teodosic. There have been rumours of Euro clubs trying to get him to come back mid season since November and the Gortat announcement appeared to have put paid to that. Then Milos got waived anyway. Phoenix Suns fans and writers are already angling for him, and my gut says he finishes out this season somewhere in the NBA. Pretty much all of Euroleague would jump at him, Maccabi are well-known to be willing to build everything around him but he’s likely to have the choice of getting heavy minutes with a bad lottery team or ring chase with a top side. Neither is his dream scenario, naturally, but his preference is almost always to get a lot of time on the floor and he’ll still have his pick back on this side of the pond in the summer anyway. We can’t forget Enes Kanter. His often unusual but more productive than you might think without looking up his stats time with the Knicks formally ended. The Celtics have been named as potential suitors but there’s not much above scuttlebutt right now. Best to check whatever Tom Ziller’s mailer says over the next few days if you somehow are a reader of this site and don’t also follow Woj and Shams. Lastly, the one Euro that was being talked about most at the start of the trade season was Ricky Rubio. He ended up staying with the Utah Jazz but did drop a fantastic tweet as the deadline neared.